The court convicted the Church of Scientology's French office, its library and six of its leaders of fraud. Investigators said the group pressured members into paying large sums of money for questionable financial gain and used ''commercial harassment'' against recruits. The original complaint in the case dates back more than a decade, when a young woman said she took out loans and spent the equivalent of euro21,000 on books, courses and ''purification packages'' after being recruited in 1998. When she sought reimbursement and to leave the group, its leadership refused. She was among three eventual plaintiffs. P.S. Also, Paul Haggis has left the Church of Scientology. The phenomenon has raised concerns among scientists and educators - especially those in Muslim countries and in countries with growing Muslim minorities - who see in it a threat to scientific literacy, a drag on the potential for Muslim countries to build up their languishing scientific research sectors, and as another flashpoint in the Muslim world’s long-running struggle between religion and secularism. 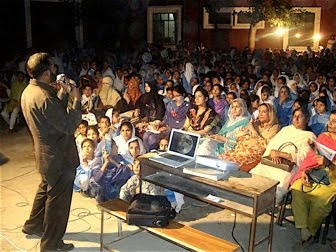 Unlike in the West, creationist beliefs are not associated in the Muslim world with religious fundamentalism, but instead are often espoused by members of the mainstream intellectual elite - liberals, by their own lights, who see the expansive, scientific-sounding claims of creationism as tracing a middle way between the guidance of religion and the promise of modern science. Critics of the movement fear that this makes it more likely that creationism will find its way into policies there, especially when the theory of evolution is portrayed among Muslim thinkers, as it often is, as an instrument of Western intellectual hegemony. Edis is quick to point out that the Iranian clerical establishment’s vision of evolution, in which a divine hand guides the process, is closer to intelligent design than to the mainstream Western version of evolution. Still, according to Hameed, it is this relative friendliness to modern biology - and one of its central ideas - that has allowed Iran to pursue an aggressive, state-sponsored stem cell research program unmatched anywhere else in the Muslim world. I think Taner and I agree on the basics - but he is seeing the glass half-empty (that the details of this form of guided evolution may be very close to ID) and I'm seeing it half-full (that they are at least willing to learn and apply evolutionary biology). Given the clerical support to evolution in Iran, it would be fascinating to know the level of public acceptance of evolution there. Unfortunately, we don't as yet have any data from Iran on this topic (we are working to get this information in the next year or two - so stay tuned). And in those places where the theory of evolution is seen more warily, the fact that there is a creationist debate at all can be seen as a sort of progress - a symptom at the very least of a newfound interest in science. In the most conservative parts of the Muslim world, creationism isn’t a political or philosophical force because it doesn’t need to be - there aren’t enough people who believe in evolution, or have even been exposed to it, to require a counter-doctrine. The rise of Islamic creationism, then, may be a sign that more of the Muslim world is at least wrestling with the idea of evolution, and more broadly with the power of scientific explanations. Much though it may alarm Western scientists, creationist thought may offer people an acceptable point of entry into a science-driven world. Good point! I completely agree here but I would replace "creationism" in the last sentence with "some sort of religious explanation" - as that includes both creationist accounts (God directly created the species) as well as guided evolution (God guided the evolutionary process). 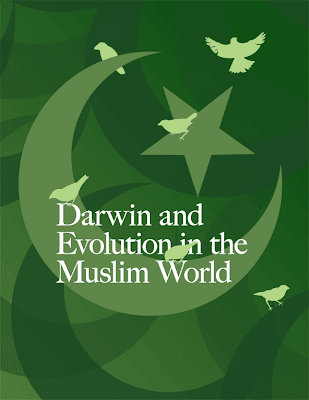 The debate over evolution's compatibility with Islam is still in its early phases. Some in the Muslim world are also ok with a separate sphere for religion and science (we don't know what fraction supports this view). But it is quite clear that an association with atheism will decisively turn the opinion against biological evolution - without even a debate. Such choices carry a cost that goes beyond ignorance of Darwin. Arab countries now spend as much or more on education, as a share of GDP, than the world average. They have made great strides in eradicating illiteracy, boosting university enrolment and reducing gaps in education between the sexes. But the gap in the quality of education between Arabs and other people at a similar level of development is still frightening. It is one reason why Arab countries suffer unusually high rates of youth unemployment. According to a recent study by a team of Egyptian economists, the lack of skills in the workforce largely explains why a decade of fast economic growth has failed to lift more people out of poverty. The most rigorous comparative study of education systems, a survey called Trends in International Mathematics and Science Study (TIMSS) that comes out every four years, revealed in its latest report, in 2007, that out of 48 countries tested, all 12 participating Arab countries fell below the average. More disturbingly, less than 1% of students aged 12-13 in ten Arab countries reached an advanced benchmark in science, compared with 32% in Singapore and 10% in the United States. Only one Arab country, Jordan, scored above the international average, with 5% of its 13-year-olds reaching the advanced category. Other comparative measures are equally alarming. A listing of the world’s top 500 universities, compiled annually by Shanghai Jiao Tong University, includes three South African and six Israeli universities, but not a single Arab one. The Swiss-based World Economic Forum ranks Egypt a modest 70th out of 133 countries in competitiveness, but in terms of the quality of its primary education system and its mathematics-and-science teaching, it slumps to 124th. Libya, despite an income of $16,000 a head, ranks an even more dismal 128th in the quality of its higher education, lower than dirt-poor Burkina Faso, with an average income of $577. Yikes! The sad part is that poverty and low education standards don't correlate in the Arab world. But below Burkina Faso? I had to look it up (by the way, this country makes the whole Burkini business all so confusing). Well aware that their school systems are doing badly, Arab governments have been scrambling to improve. In an attempt to leapfrog the slow process of curriculum reform and teacher training, many have taken the easy route of encouraging private schools. In Qatar, for instance, the share of students in private education leapt from 30% to more than 60% between 1999 and 2006, according to the UN’s Educational, Scientific and Cultural Organisation (UNESCO). Syria has licensed some 20 private universities since 2001; 14 are up and running. Yet their total enrolment is dwarfed by the 200,000 at state-run Damascus University alone. Oil-rich monarchies in the Gulf have spent lavishly to lure Western academies to their shores, but these branch universities are struggling to find qualified students to fill their splendidly equipped classrooms. Not to be outdone, Saudi Arabia has launched King Abdullah University of Science and Technology (KAUST), a city-sized institution with an endowment of $20 billion. Intended as an oasis of academic excellence, it enjoys an independent board and is the kingdom’s only co-educational institution. This augurs well for the Saudi elite, but one fancy new university will do little to lift the overall standard of Saudi education. Yup - cannot agree more. Read the full article here. I'm not sure how surprising this really is. 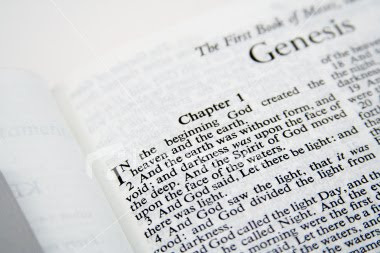 I thought the ambiguity involving Hebrew grammar in the first verse of the Book of Genesis was known already and that different translations present slightly different takes on creation. 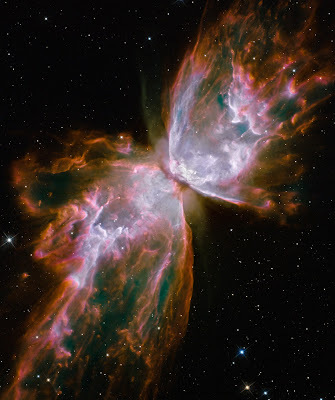 Plus, the idea of Creatio ex Nihilo was, I thought, a later interpretation by Christian scholars. I'm sure, people more qualified than me can comment on this in more detail. But then here is a translation from Young's Literal Translation (another version with similar translation here). Thus, Ellen van Wolde's assertion above does not seem as shocking as the news story is making out to be. In any case, I think all of this stuff is interesting from an academic sense - but I don't think it makes any difference to how and why people believe in their respective religions. 1 In the beginning Tyra created the heaven and the earth. 2 And the earth was without a runway, and void of all fierce colors and outfits; and improper lighting caused darkness upon the face of the deep. And the Spirit of Tyra worked the runway upon the face of the waters, striking fierce poses at each step of the way. 3 And Tyra said, Let there be lighting: and there was lighting, and stage hands, and production assistants. 4 And Tyra saw the lighting, that it was good, minimized her imperfections, and made her eyes smile: and Tyra divided the light from the darkness to ensure fierce day and night photos. 5 And Tyra called the light Tyra, and the darkness she called Naomi. And the evening and the morning were the first days dedicated to the Spirit of Tyra. 6 And Tyra said, Let there be a makeup studio in the midst of the waters, and let it divide the women at the counters of Macy’s from the female-like men. 7 And Tyra made the makeup studio, and divided the cosmetologists, which were under the firmament, from the make-up artists which were above the firmament: and it was so. 8 And Tyra called the firmament the CW. And the evening and the morning provided Cover Girl lighting. Read the rest of Book of Tyra here and don't miss out the video on the website. Also check out Crumb's take on The Book of Genesis. Making sense of Al Jazeera's strange coverage of "Ardi"
About two weeks ago, Science included a series of papers about our 4.4 million year old ancestor Ardipithicus or "Ardi". It is a fascinating find that has justifiably garnered attention worldwide. You can read the details in Science (there is also a nice short video there) and an excellent description on The Loom. However, Al Jazeera gave an interesting spin to the same story. 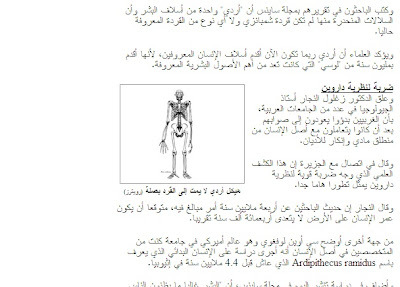 Lina Malkawi translates the story on her blog and points out the bizarre coverage by the Arabic version of Al Jazeera, where the headline reads: Ardi refutes Darwin's theory (the screen shots on the right are from Lina's blog). And one goes, huh?! Did Al Jazeera read any thing about Ardi? Hey - if not the original Science article, at least they could have read the summary of the findings (or if that is too much to ask, watch the short video on the same website that explains the findings). So what is the motivation behind Al Jazeera's story and how did they reach this creative conclusion? First of all, this story only appeared in the Arabic language Al Jazeera. I checked Al Jazeera-English and it is not mentioned at all (by the way, there is no science section at all!). This may be due to different demographics for English and Arabic language editions. Al Jazeera-English is most likely intended for relatively educated audiences (many living in the West) who have access to other competing news sources. In fact, Al Jazeera-English wants to present itself as a credible news source at par with BBC, CNN etc., but presenting news from an Arab perspective. In addition, a number of staff members of Al Jazeera-English have come from the BBC. Since they are still trying to establish their credibility in English-language press, nutty stories like this would do far more harm than good. The Arabic language version is a different story. Al Jazeera is the biggest and most influential news channel in the Middle East. Gauging the mood of its audience, Al Jazeera can afford to run a sensational news story about evolution. This is a crowd-pleaser. Instead of seriously engaging with the implications of biological evolution - something that Muslims will have to do eventually - this kind of a distorted news story provides a short-cut to comfort. Of course, the discovery of "Ardi" itself is not a worthy story for Al Jazeera - after all they omitted its coverage in its English version - but if someone (anyone!) 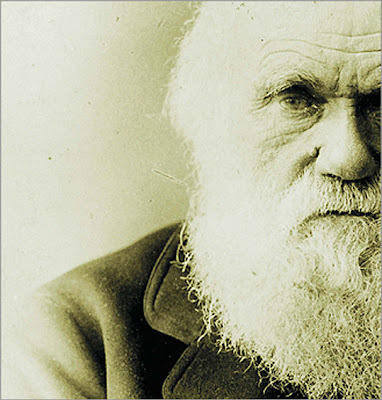 can claim that it is a refutation of Darwin's theory, then it becomes a story. How did Al Jazeera reach the conclusion that "Ardi refutes Darwin's theory"? Most likely this is coming from that standard misconception that humans have evolved from chimpanzees rather than humans and chimpanzees having a common ancestor. And in Zaghloul el-Naggar they found a perfect mouthpiece for this nonsense. He has been searching for scientific miracles in the Qur'an. Aaayayayay! So we have a choice: No science coverage in Al Jazeera-English or utter-rubbish in Al Jazeera-Arabic. I guess in the case of Al-Jazeera, no (science) news is good news. 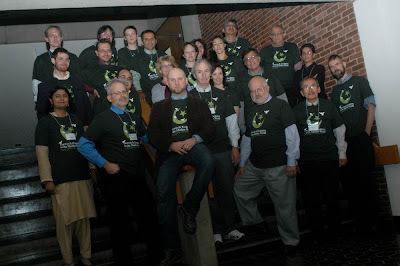 Pervez Hoodbhoy was at Hampshire College recently for the Darwin & Evolution in the Muslim World conference. However, a day before the start of the conference, he gave a lunch talk, Can the Taliban win in Pakistan and Afghanistan? The answer to this question now largely depends on the US decision about troops. While Pervez has been an anti-war activist all of his life, he made it quite clear that the US should not withdraw troops from Afghanistan. Such a move would be a morale booster for the Taliban - both in Afghanistan and Pakistan - and it will lead to a major turmoil in the region. In fact, his main point was that even if the US leaves right now, it will have to come back - and when it does - it will find the situation much messier than it is right now. I think he is right - the current Afghan war has now become a war of necessity. Echoing these views, here is Ahmed Rashid on Fresh Air. This gives a good idea of the over all situation in Afghanistan. Regarding the destabilization of the region, listen to his answer about 34 minutes into the interview. Also, check out his article, The Afghan Impasse, in The New York Review of Books. Here is an excellent short documentary (about 20 mins), A Schoolgirl's Odyssey. It provides not only a glimpse of the complex situation in Swat, but also highlights a wonderful desire for education. They could not have picked a better schoolgirl to follow - she is absolutely amazing. The first part of this documentary tracks this family's move out of Swat. But the most powerful moments come when they return to Swat after the Pakistani military had cleared off the Taliban. Please check out the video here. 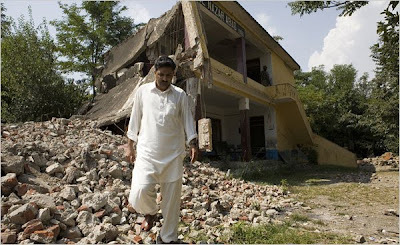 There is a related story in today's NYT about the slow pace of rebuilding in Swat. Mohammed Shah Hussain, a teacher at Nazarabad Government Boys School, walks thought what is left of the school after the Taliban destroyed it in February. About 20 percent of all schools in the Swat Valley are destroyed or unusable, Unicef says. Mr. Hussein estimated that more than half of his male students were not coming to school because they were afraid the military would arrest them for Taliban involvement. He is also nervous about sticking out, now that he has assumed the role of spokesman for families, mostly illiterate, asking about relatives who are in military custody. Illiteracy makes villagers easy to ignore. Taja Bibi, a villager who cannot read, but whose bright 12-year-old daughter, Rabihat, aches to return to school, said she had not even bothered to ask when it might reopen. For Mr. Hussein, creating an educated class that knows its rights is the only hope for change in Pakistan. But that requires schools, and the ones in his village are gone. “We are the losers,” he said. The latest episode of Bones, The Beautiful Day in the Neighborhood (aired Oct 10), features a subplot involving a Muslim researcher/investigator, Arastoo, who finds no conflict between science & his faith (tip from Laura Wenk). Watch the full episode here (I don't how long are they available online; you can also read the recap here). Couple of points here: This sub-plot is inessential to the story and thus this is a deliberate effort to dampen some of the stereotypes using one of the network stations (Fox - and no this is not the same as Fox News). However, they not only bring this issue up but also reveal Arastoo to be as much an American as anyone else. Plus, they take the opportunity to make a jab at the confusion between Arabs and Persians - and to note that not all Muslims speak Arabic. Good short effort against some of the common misconceptions. Towards the end, they generalize the issue to that of science & religion - rather than of simply science & Islam. I think this is a good PR effort from a political and cultural perspective. Hopefully, some other network show will pick its protagonist to be an atheist who has no problem leading a moral and fulfilling life (ala Jodie Foster in Contact). What about the episode of Bones itself? I found it relatively painful to watch (I'm not into CSI either). Plus, if this is how the FBI works, we have some serious issues down here. If you do have to watch a TV series, skip Bones and follow the absolutely riveting Mad Men (I'm finishing off the second season). More likely, both Sagan and Reagan were influenced by the story from a 1963 episode of The Outer Limits titled, The Architects of Fear. Watch the full episode here. 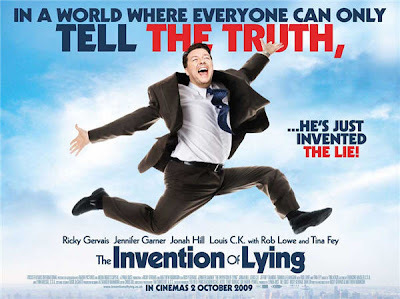 A few of us went to see The Invention of Lying yesterday. Since our expectations were quite modest to begin with, the movie turned out to be reasonable (not great - but quite enjoyable). However, it also has a hilarious commentary on religion. It is in all in good faith (ha! ), but unlike many Hollywood films, it does not back down from its premise. In fact, it does an adequate job of showing why we have the urge to believe - at the same time bringing up age-old theological problems associated with a belief in an all-powerful Deity and the existence of evil. The movie is decent, but we are not really talking about Bergman, Tarkovsky or Kubrick here. If you are looking for some light entertainment, this is perfect. Plus, soon we'll have to go and see Cormac McCarthy's The Road (can't believe they switched the release date from October 9th to November 25th!) and Coen Brother's A Serious Man. For the purpose of this blog, the new Pew study, Mapping the Global Muslim Population, is a good reminder that Muslims are not a monolithic entity - culturally, socially, politically, or even religiously. Therefore, statements regarding Islam and Science or acceptance or rejection of evolution in the Muslim world have to take into account this diversity. There are 1.57 billion Muslims of all ages in the world today, about 23 percent of the global population of 6.8 billion. (By contrast, various estimates put the number of Christians worldwide at about two billion). Over 60 percent of Muslims live in Asia and one-fifth in the Middle East and North Africa. More than 300 million Muslims, or one-fifth of their global population, live in countries where Islam is not the majority religion. Muslims are a minority in India but it has the third-largest Muslim population (161 million). Sub-Saharan Africa has about 15 percent of the Muslim population, and Pew estimates that Muslims are a slight majority in Nigeria at 50.4 percent of the population. Ten to 13 percent of Muslims are estimated to be Shias and most Shias live in just four countries: Iran, Pakistan, India and Iraq. Sunnis account for 87 to 90 percent of the Muslim population. In Europe, there are an estimated 38.1 million Muslims. Read the Executive Summary here and download the pdf of the full report here. There are also some interactive maps there. 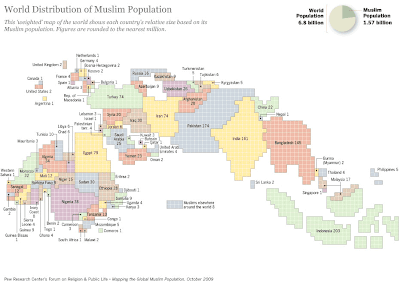 Here is a "weighted" map of the world shows each country’s relative size based on its Muslim population. Figures are rounded to the nearest million. Two Iranian government ministers have co-authored peer-reviewed papers that duplicate substantial amounts of text from previously published articles, according to an investigation by Nature. Three journals have already confirmed that they will retract papers co-authored by Iran's science and education minister Kamran Daneshjou, a professor in the school of mechanical engineering at the Iran University of Science & Technology (IUST) in Tehran. Before being appointed science minister in early September, Daneshjou was also head of the interior ministry office overseeing the disputed presidential elections in June that kept Mahmoud Ahmadinejad in power. A further publication by Iran's transport minister and his deputy has also been called into question. In an online story last week (see Nature doi:10.1038/news.2009.945; 2009), Nature revealed that substantial sections of text in a 2009 paper in the journal Engineering with Computers1 by Daneshjou and IUST colleague Majid Shahravi were identical to a 2002 paper2 by South Korean scientists in the Journal of Physics D. New York-based Springer, which publishes Engineering with Computers, has told Nature that it will retract the paper. The work also duplicates smaller amounts of material from papers given by other researchers at conferences3,4,5,6, as well as a 2006 article7 in the International Journal of Impact Engineering. The experiment of an intellectual island in Saudi Arabia has officially started. This island is called King Abdullah University of Science & Technology (KAUST). Already, a top Saudi cleric, Sheikh Saad al-Shithri, demanded that KAUST curriculum be vetted by a Sharia committee to prevent "alien ideologies", such as evolution. He also had serious problems with co-education. However, the king used a royal decree to remove this cleric from the council of religious scholars. It seems that King Abdullah is serious about protecting KAUST from religious meddling. The Custodian of the Two Holy Mosques, King Abdullah Bin Abdulaziz said that throughout history, power has attached itself (after God) to science and the Muslim Ummah is well aware that it will not be powerful unless it depends (after God) upon science. The King also stressed that science and faith are only adversaries in sick minds, and God has graced us with our minds so that we can understand and recognize God’s laws of nature. Ok..so far so good. Its indeed a step in the right direction. But, instead of this island, I hope these things get extended to the rest of Saudi Arabia as well. 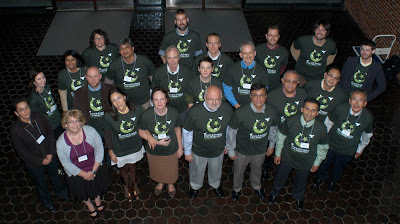 Read the full story here and here is the link to KAUST website. Here is my interview with New Hampshire's Public Radio's program, Word of Mouth. It aired on Thursday, Oct 1st.